A huge thanks to the genius that is Matthew Crew, for forwarding me this gem. I have nothing to add to it. Welcome to Friday. 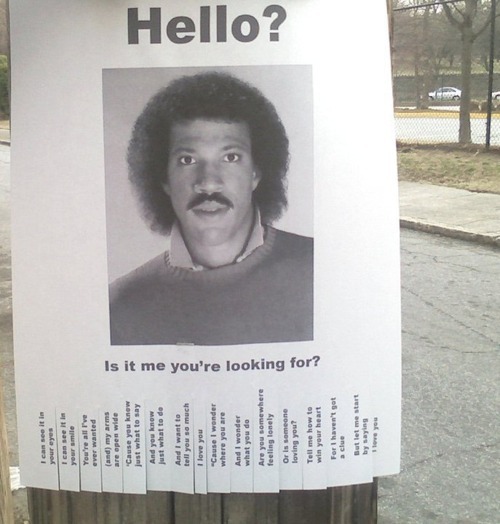 This entry was posted in Music and tagged lionel richie is my hero. Bookmark the permalink.